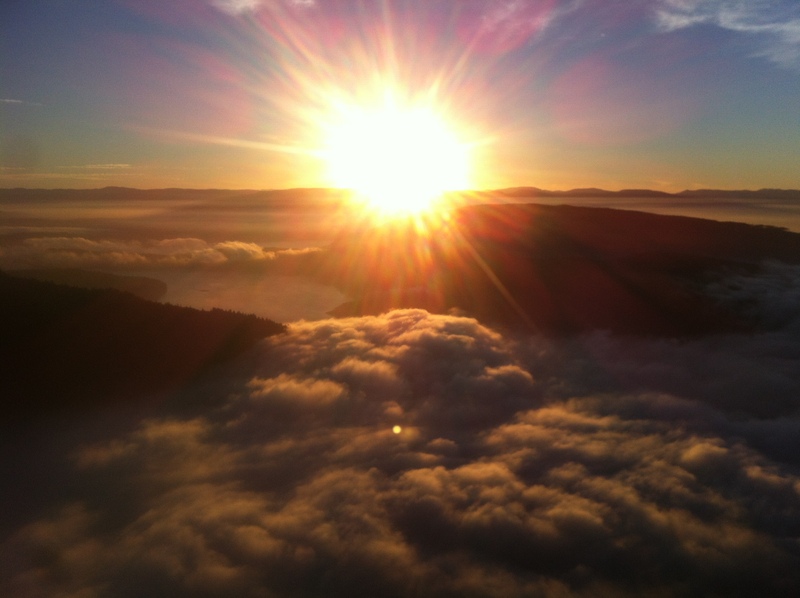 After a few days of Salt Spring Island being held hostage by a lingering fog it was time to rise above it with a hike. The best escape from the damp cold hovering at sea-level was to hike to the top of the island’s notable landmark, Mt. Maxwell. 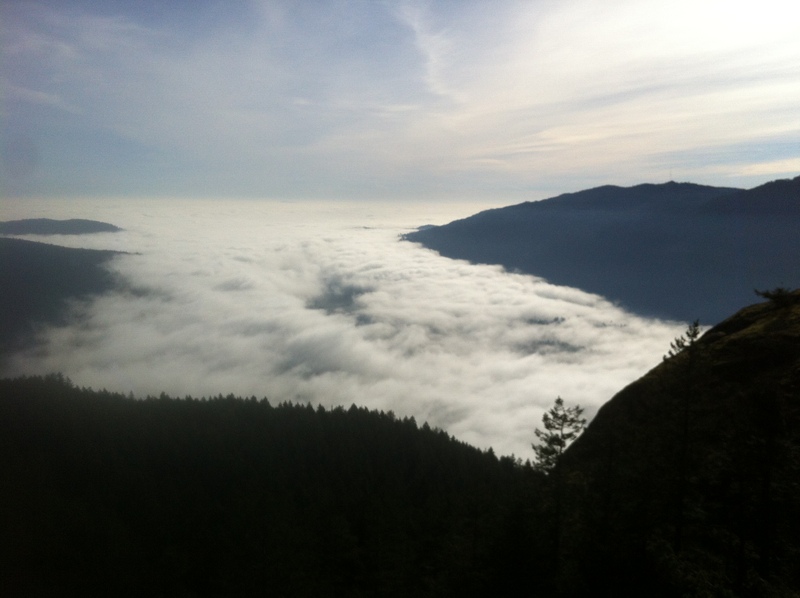 Below us the fog bank moved, rose and fell, and played in the moving air caused by this thermal inversion. As we hopped from one rocky ledge to the next in search of the ultimate place to park in the sunshine we could not believe it was January as it could easily be confused with a springtime walk. The inversion created rising waves of air and our layers of clothing fell away in the long lingering hours of sunbathing. If this blog posts offends the rest of the country gripped and unfortunate in its dealings with ‘real’ winter, or comes across as another example of the annual west coast gloating, well it is a risk I take. Love me or resent me, here is what I saw from the three mountain perches was enjoyed all afternoon. 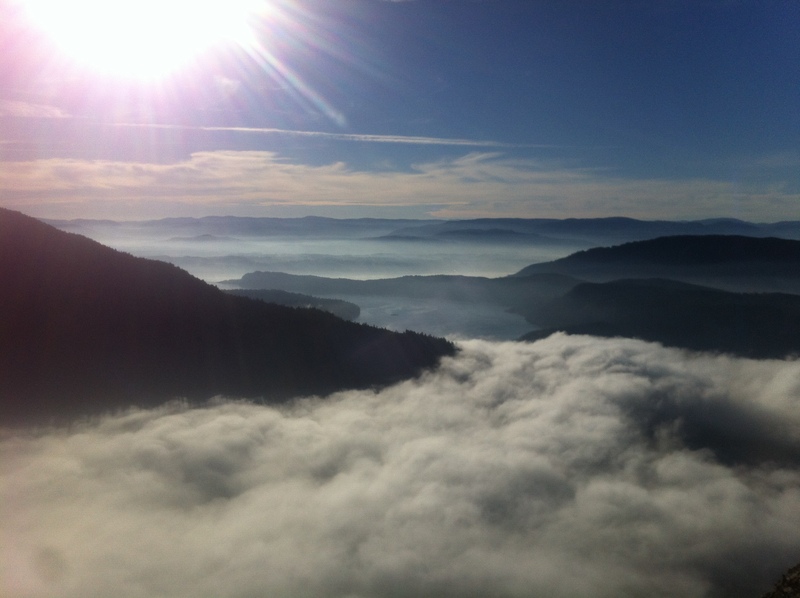 Hiking up out of the fog to several ledges for some well-deserved mid-winter sunshine. The sun highlights the ebbing tide in the narrows separating Salt Spring Island from Vancouver Island. 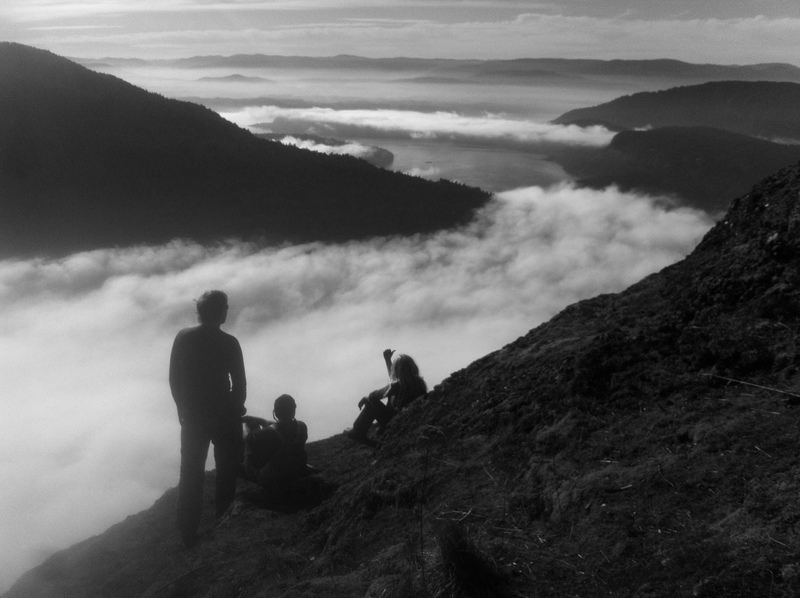 An afternoon watching the fog rising, falling and flowing below our perch. Rising fog at the mouth of the narrows and a perfect winter sunset.